I do know that even my non-vegan Alfredo loving girlfriend is hooked on this recipe, so I’m pretty sure you are going to love it too. Mince the cashews and garlic in a blender of food processor. Add the remaining ingredients and blend until smooth. Pour sauce into a frying pan on low heat and stir constantly while sauce thickens. Add salt and pepper to taste. When the sauce is thick and no longer tastes raw (from the flour), serve over gluten free pasta. If this sauce starts to get cold it will harden up and become like a jello texture. 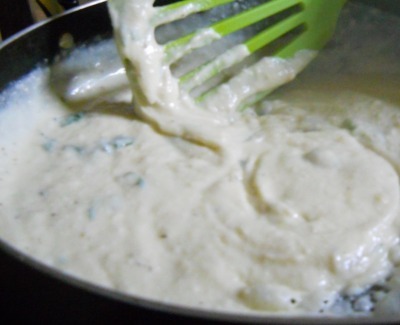 Don’t worry, just reheat and re-experience the cheesy goodness of vegan Alfredo sauce. This nut ricotta, inspired by the Eggplant Manicotti recipe from Living Cuisine is great for enchiladas, lasagnas, or as a base on pizzas with some pizza sauce. 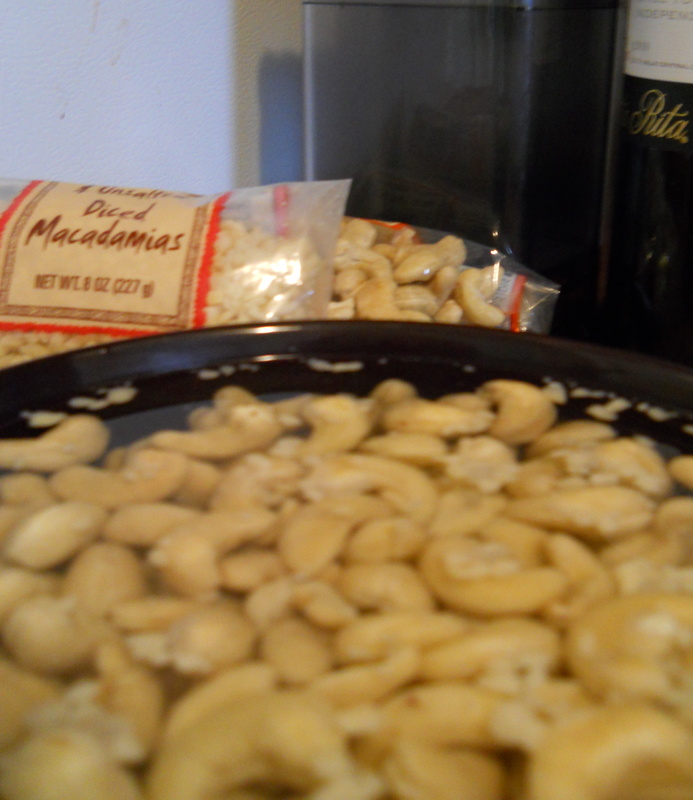 Soak the cashew and macadamia nuts for half an hour. Put everything in the food processor and blend until smooth. The cheese will get lighter in color as it becomes completely blended. Add water until you reach desired texture. 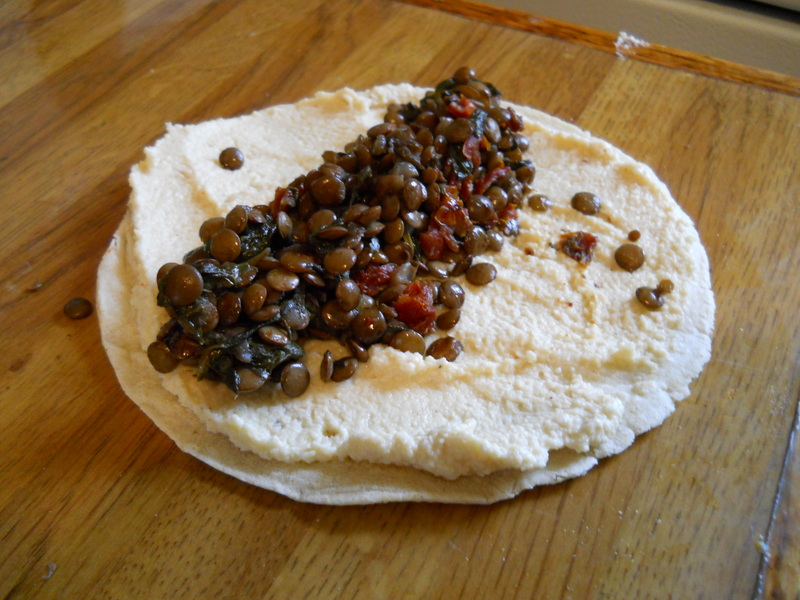 Cooking this weekend with my best friend Anne from The Hungry Griffin we used the ricotta cheese to make lentil enchiladas. Home on vacation again! I whipped up some cream cheese to eat on my Food for Life gluten free english muffins. I used a recipe I found at Adventures of a Gluten Free Mom. I added a cup of chives from the garden for some extra flavor. It was really tasty, however since I don’t have a vitamix I couldn’t get the right texture. Although it worked great for what I wanted, I have to admit it didn’t taste exactly like cream cheese. It is a wonderful creamy spread that I recommend for eating with bread/english muffins/bagels, but I wouldn’t try to make a dessert with it. Next, I’m going to try this recipe. Combine until you get a thick sauce. If it tastes too much like any one ingredient, add more of the other ingredients until it tastes kind of like sour cream, or just like a really tasty sauce. Serve on everything! Try this baking mix from Delicious Living. I love this simple gravy recipe, and it has totally addicted me to gravy (something I could easily go without with normally). 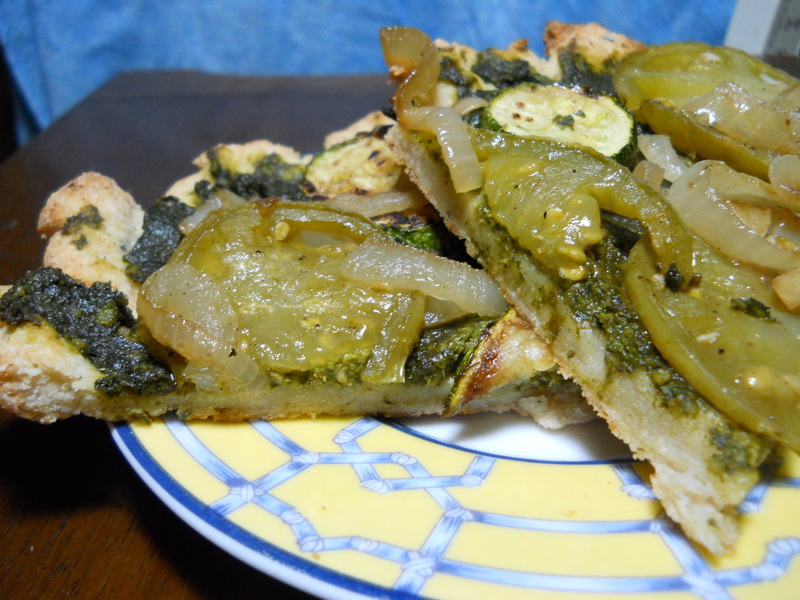 I recently got permission from Colleen Patrick-Goudreau from Compassionate Cooks to publish her recipe here. This comes from her Thanksgiving for the Birds IV recipe pack. they are browned, about 5 minutes. 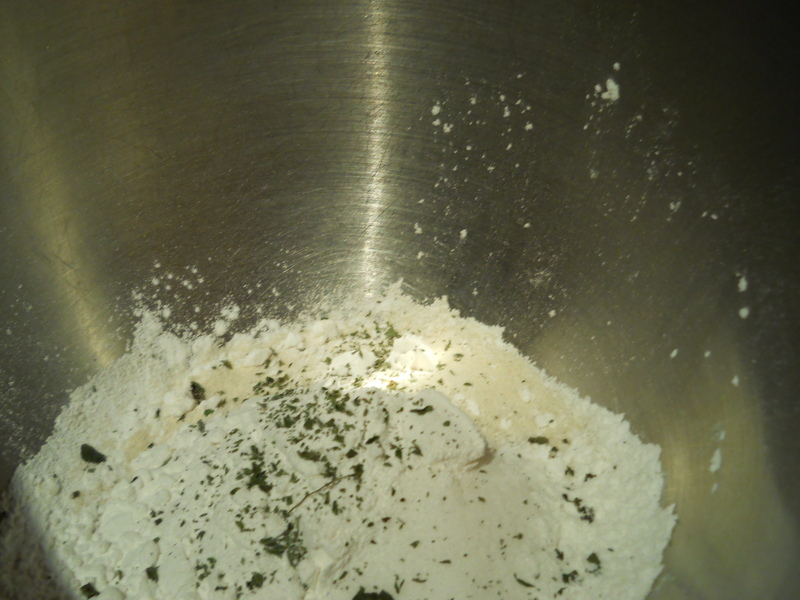 In the meantime, in a separate bowl, whisk the flour into the water/broth along with the tamari, black pepper, and thyme. Add to the onion mixture and cook over medium heat, stirring constantly until thickened. 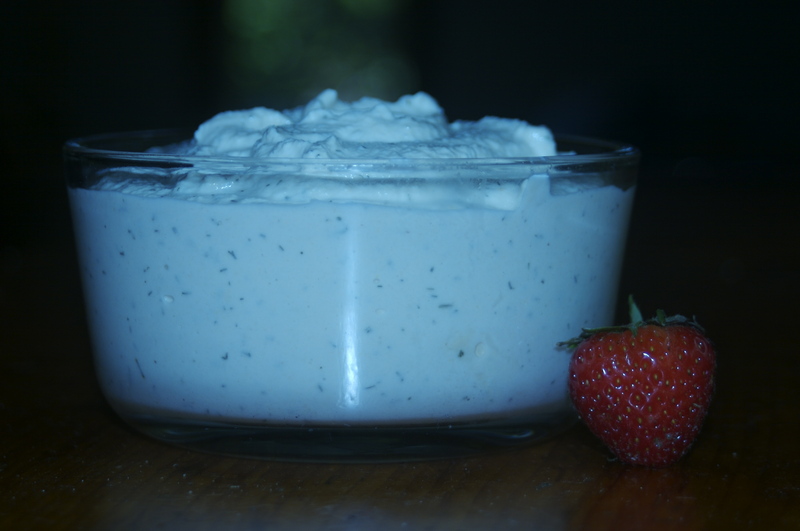 For smooth gravy, puree it in a blender or food processor. You may want to play a little with the flavor and add more salt or pepper to taste. Reheat the mixture if necessary on low heat in a saucepan.